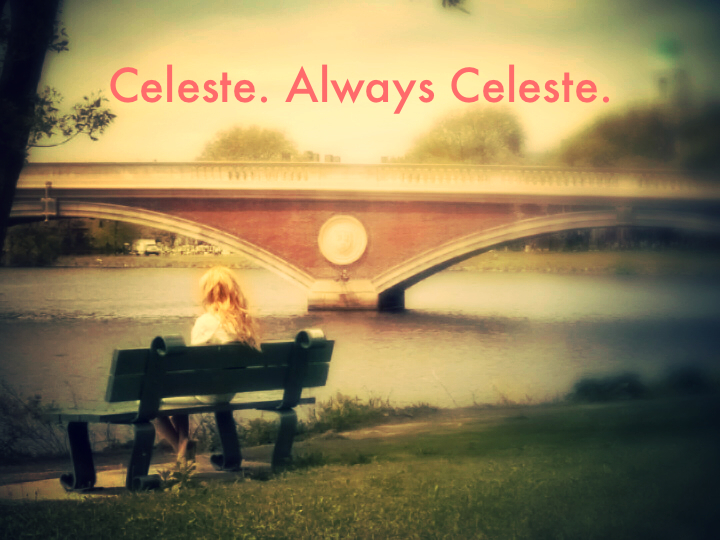 The Celeste audiobook is out and it's fantastically narrated by the immeasurably talented Tavia Gilbert. I could not have asked for a more perfect performance, and I'm so grateful Tavia agreed to do this audiobook. If you've bought the Kindle book, then the audio is only $1..99! Author's note: Is Flat-Out Celeste a standalone? Yes. 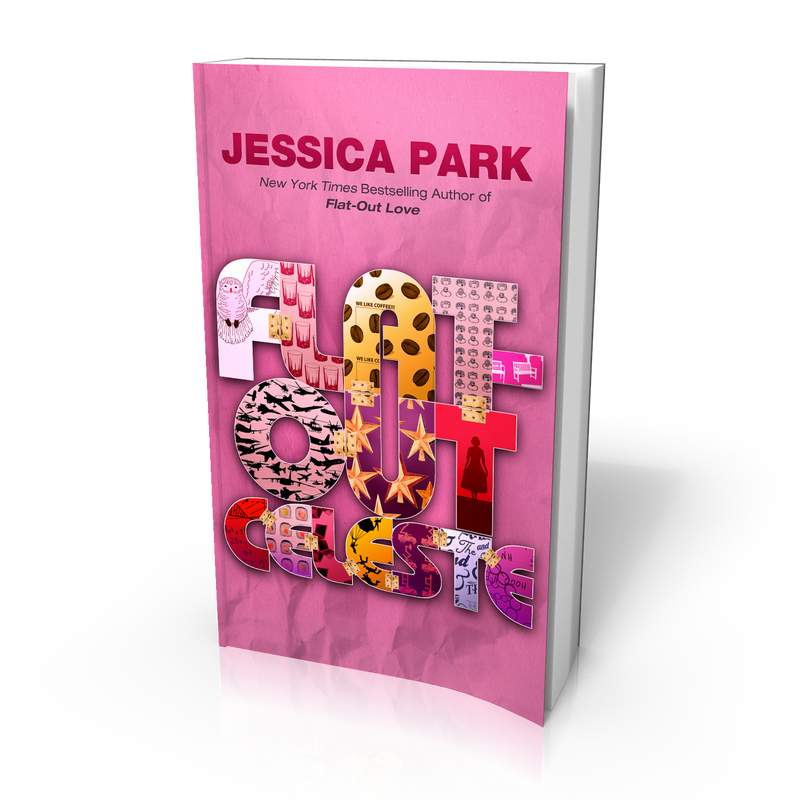 However... it's a spinoff of Flat-Out Love, so there are some references and scenes in this book that will hold more meaning for those who've read Flat-Out Love. Celeste, in all of her glory. Me at Sunset Cliffs honoring Celeste. My Celeste models are twins Amy and Michelle Mills, and you can find them and see more of their incredible modeling work on Facebook. They are stunning, but even more than that, they are two of the loveliest people ever! Find Amy here and Michelle here. And there, across the street from them, was Border Cafe. It was already five-thirty, past the start time of the Barton event. Not that she would have gone inside anyway. Church Street was bustling tonight as people headed for their favorite restaurants and bars, and a line was forming outside The Brattle Theatre. She moved her head to see past pedestrians. A young man in a bright blue hooded sweatshirt and black down vest stood out front, holding open the door for diners who were entering and exiting, and he did so with such style that Celeste couldn’t help but be intrigued. Each time he reached for the door handle, he simultaneously performed a dramatic bow, complete with a sweeping hand gesture, followed by a quick, full-body spin. The patrons were eating it up. “It has a slightly tacky sign, does it not?” she murmured. “What has a what?” Matt asked. “What? Now? No. No, certainly not.” But she could not take her eyes off the boy who stood out front. He bounced on his toes a few times and then hopped in the air and landed by the door just in time to let out more customers, who he then saluted very properly and marched alongside with high knee-lifts as he escorted them to the next block. The three girls giggled in response to his antics as the boy dashed back to his post. “Sure. Okay...” But she watched the boy. “Let’s cross here.” She dragged Matt across the street, causing a taxi to brake hard. “They are indeed fun,” she replied, only half paying attention. As they slowly walked toward the restaurant, she made eye contact with the boy in the hoodie. He paused for a moment—just a moment—and tilted his head to side. She took in the way his soft brown hair did a sort of whooshing-off-his-face thing that she quite liked. As if on cue, he ran a hand haphazardly through it and started to smile at her, looking a bit hopeful. 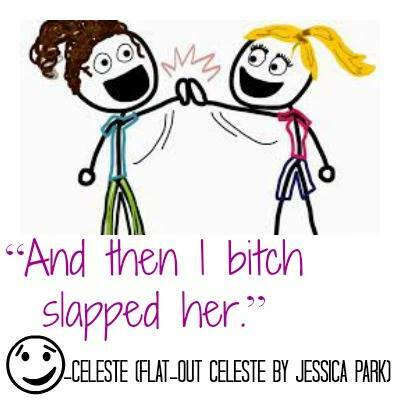 Hopeful as to what, Celeste did not know. Most likely that his boyish good looks would charm her and that he’d bring in more customers. He had short sideburns. Wide eyes of the lightest blue. And smooth pale skin that was flushed from the chill. There was energy and freedom and kindness about him. Celeste had to admit that if the Barton event weren’t going on right now, she could be persuaded. She realized that they had crossed one street, rounded by the restaurant and were now stagnant in the crosswalk of Palmer Street, her eyes still glued to the boy. “Yes, this is unsafe. We should move.” Matt tugged at her arm. “Yes, okay.” Her voice was barely audible. Then, in what Celeste found to be the smoothest of movements, the boy dropped to one knee, swept his arm across his body and gestured to the front door. She blushed and shook her head slightly. She turned her back to him and finished crossing the street. But when safely on the corner across from the restaurant, Celeste dropped her arm from Matt’s and looked back. She swept one foot behind her and lowered herself evenly in a perfect curtsy. It was not a voluntary move, but more as though her body had been invaded by someone with flirting skills. “Oh my God, what is going on? Did you just curtsy at someone?” Matt tried to turn his head to see behind them, but she put her hand flat on the side of his face and pushed him away. Still, despite the moronic curtsy, Celeste felt a certain level of cheer at having seen the boy in the blue hoodie and black vest. The boy with the whooshy hair and cool sideburns. The boy who got down on one knee for her, if only for a moment.